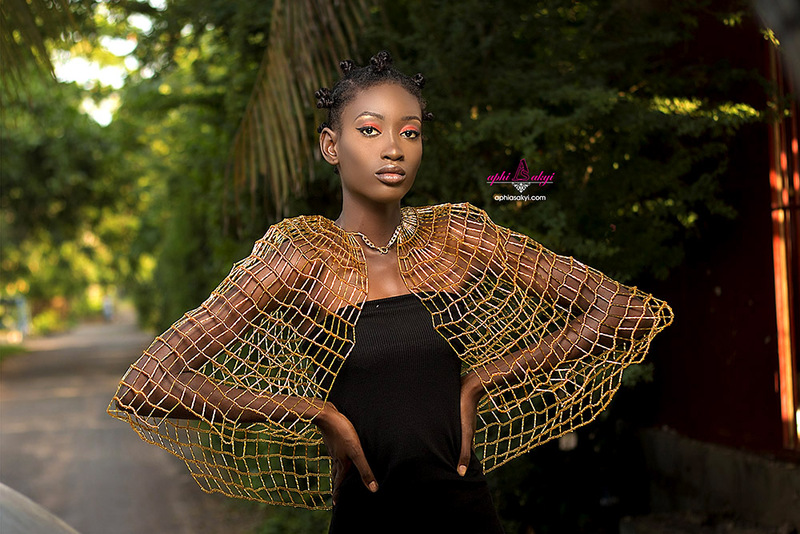 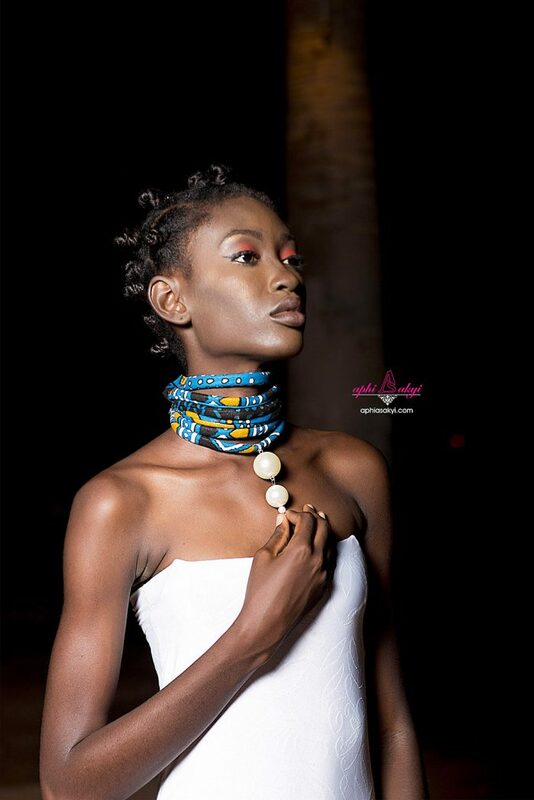 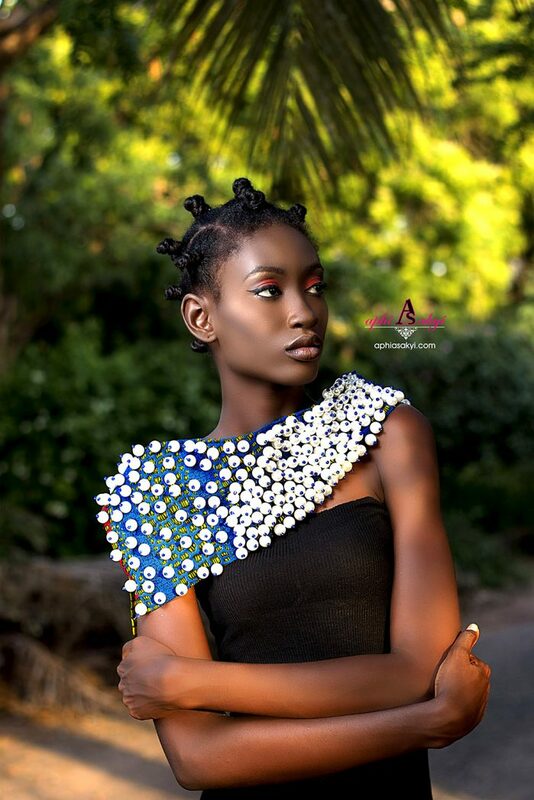 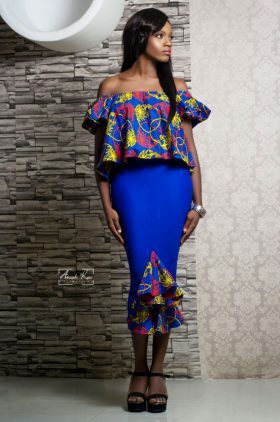 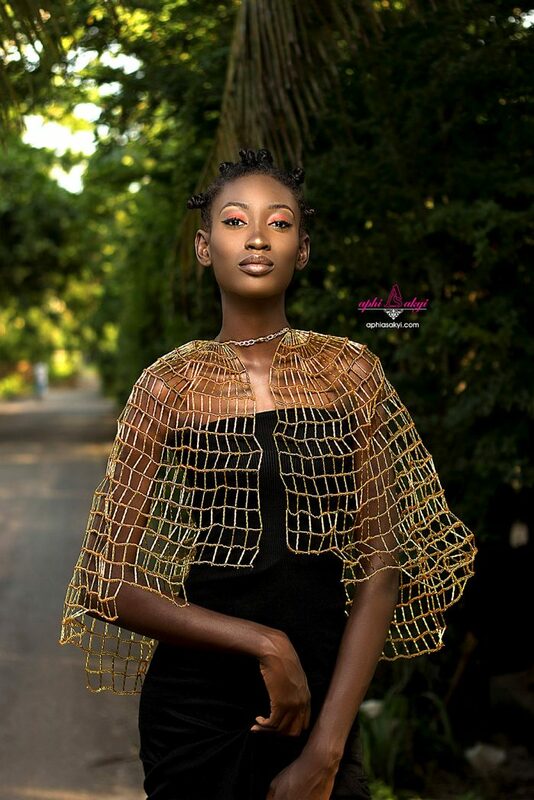 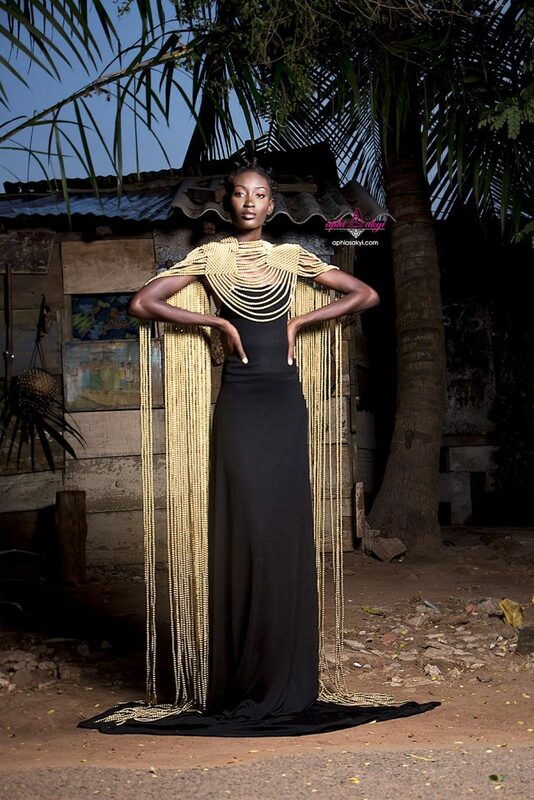 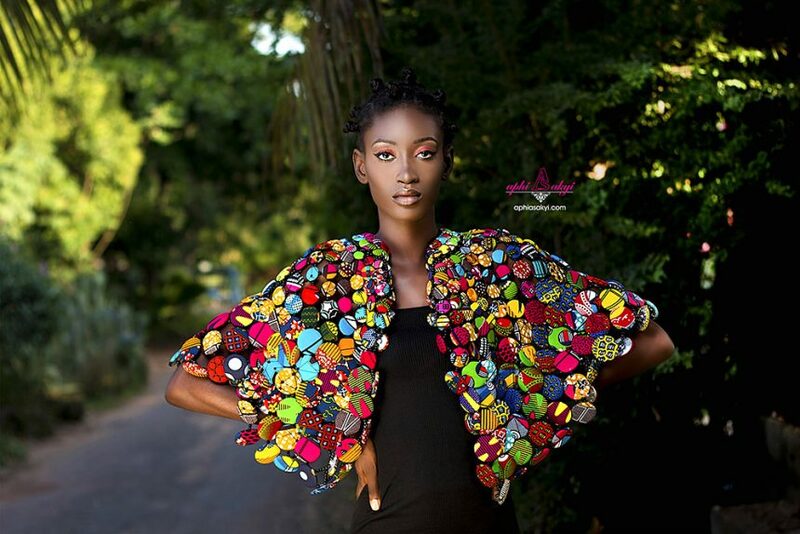 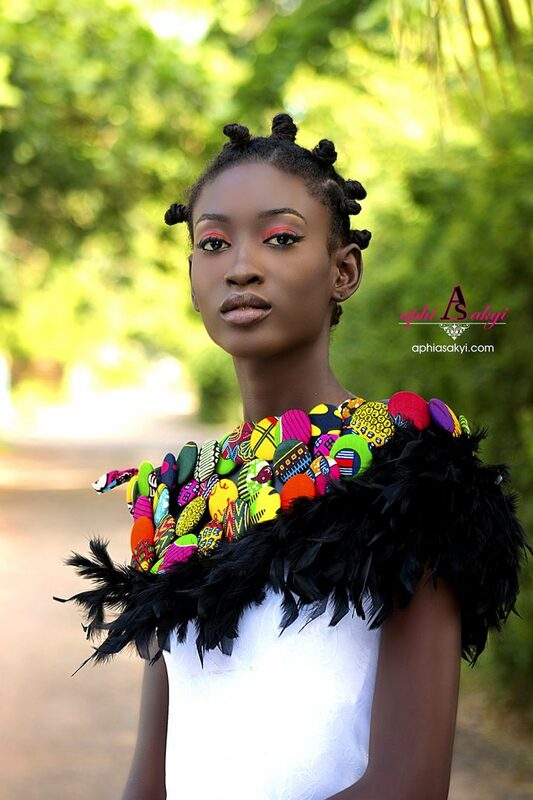 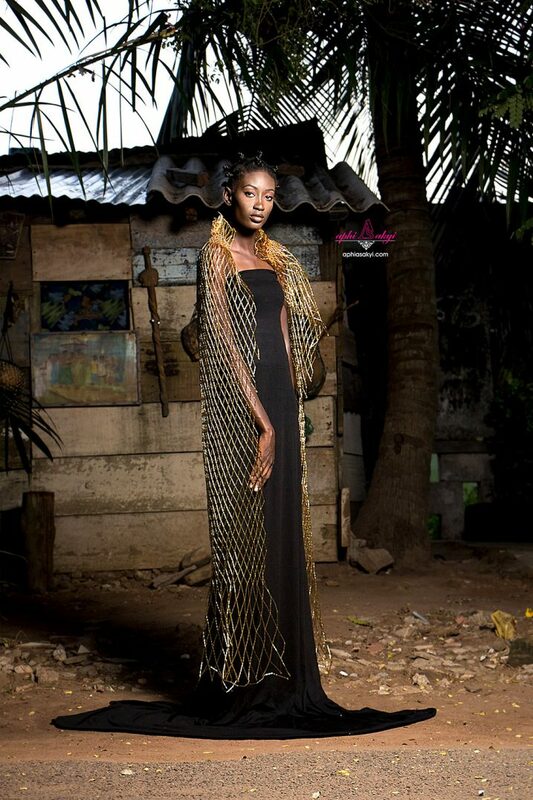 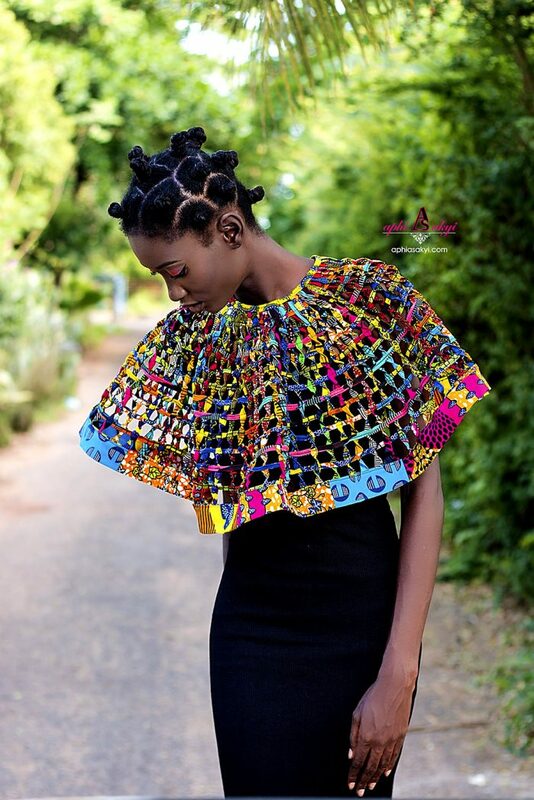 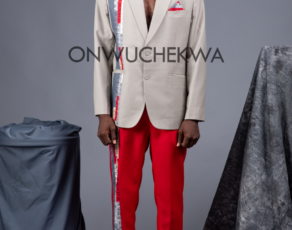 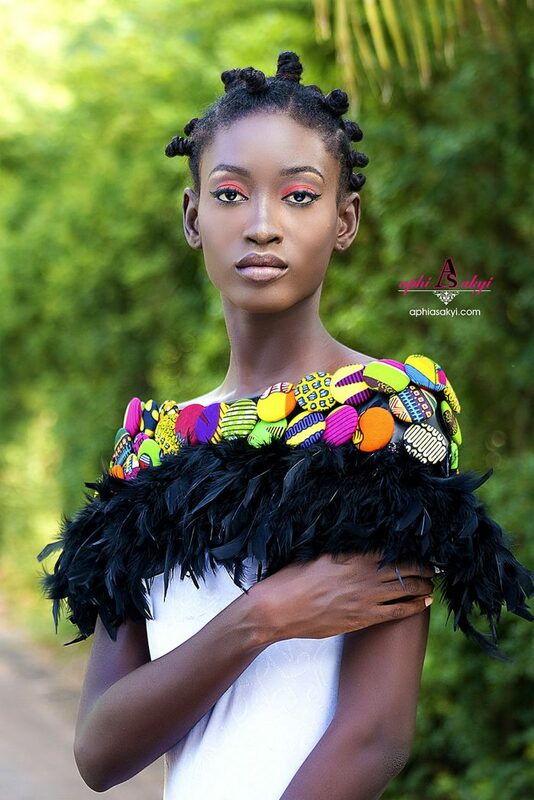 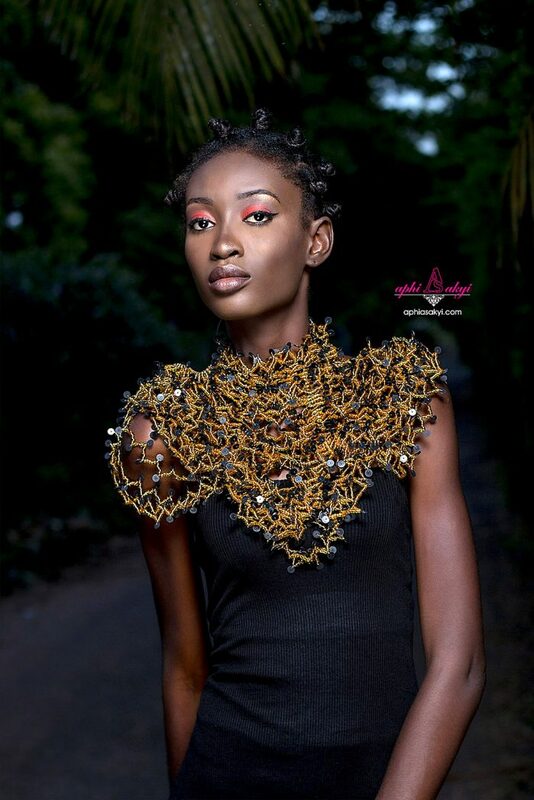 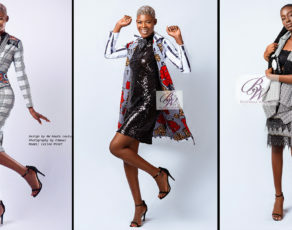 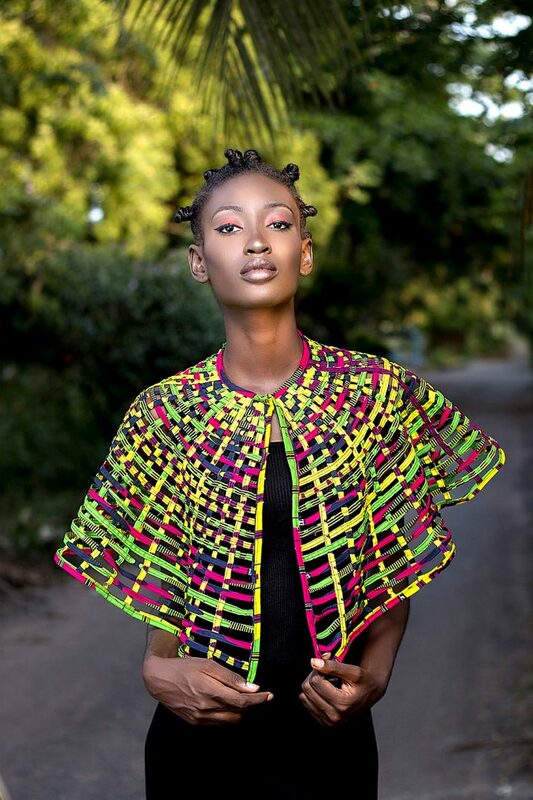 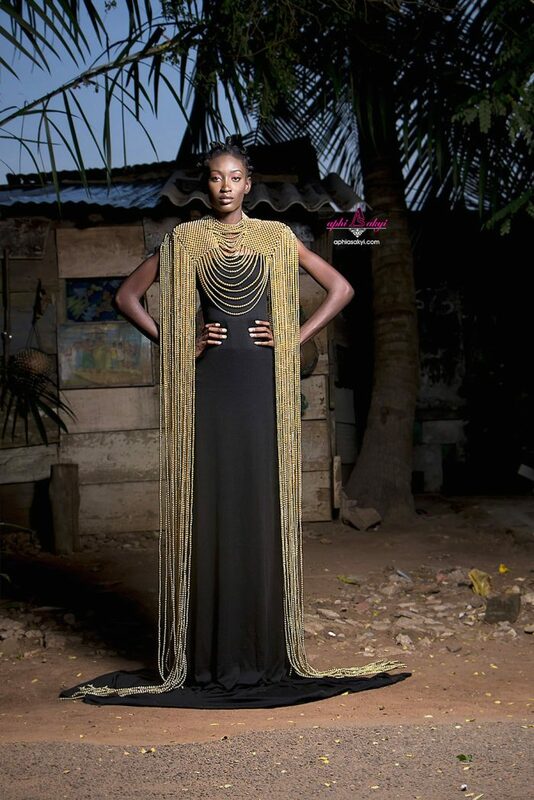 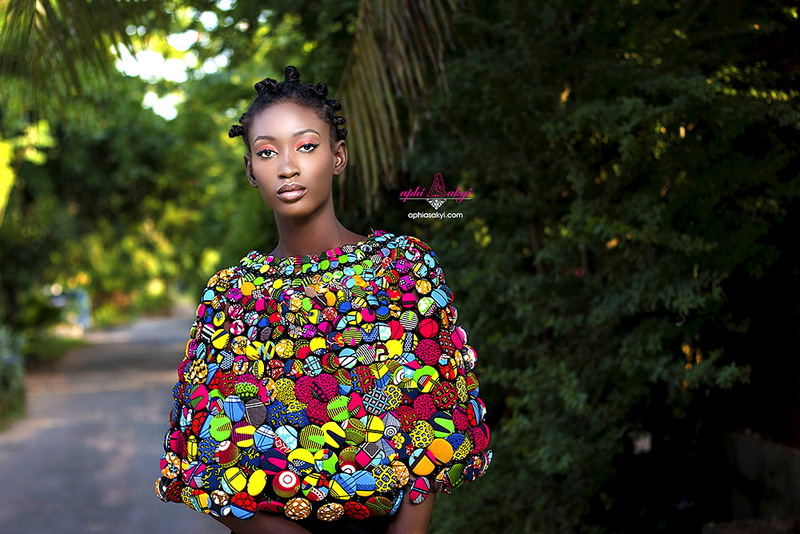 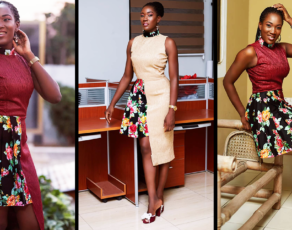 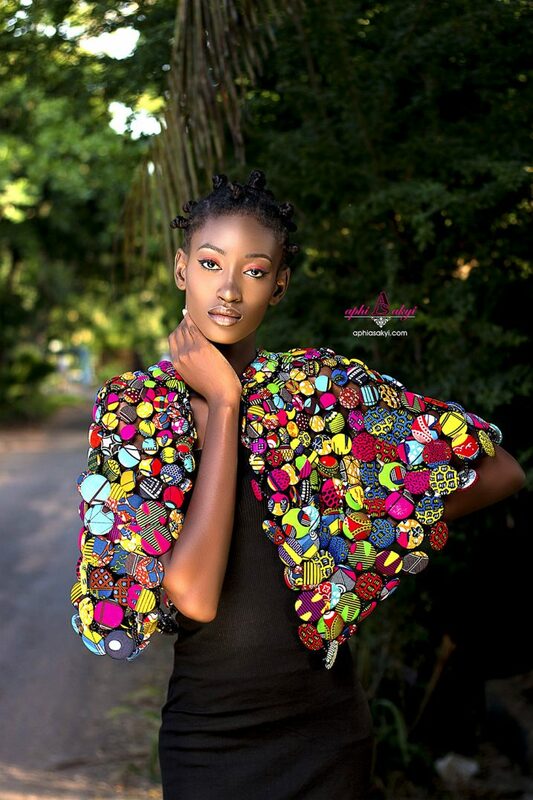 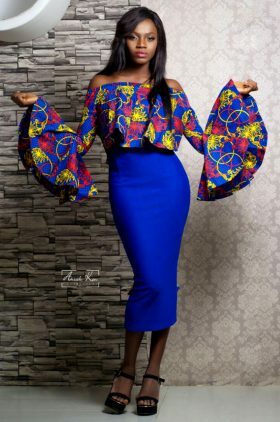 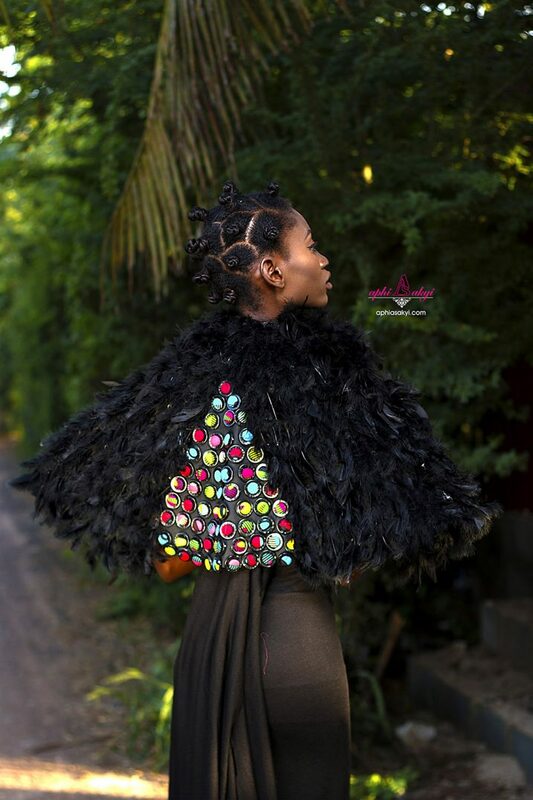 Top Ghanaian Accessory brand Aphia Sakyi debuts it’s latest collection entitled ‘Nhyria’ (pronounced ‘Enshrah’). 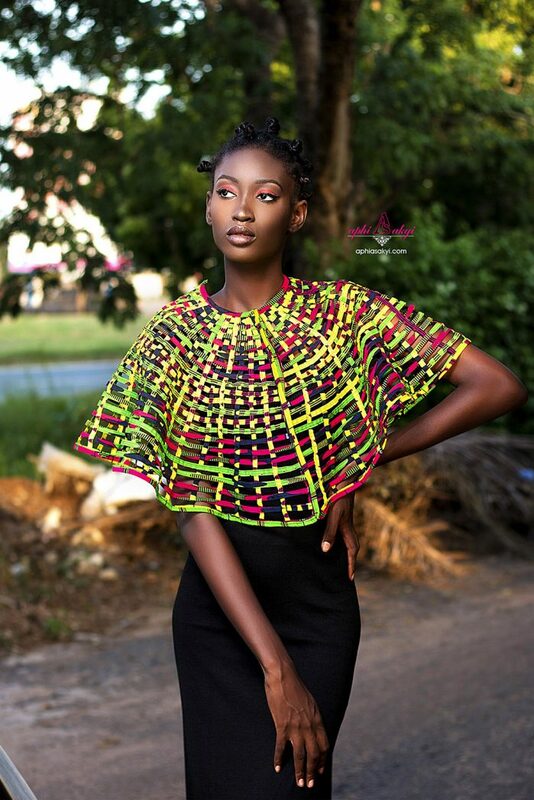 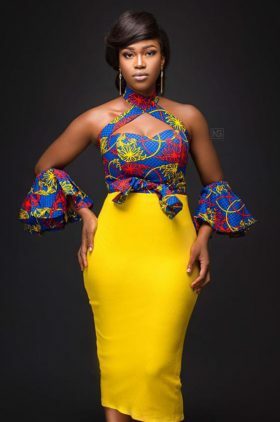 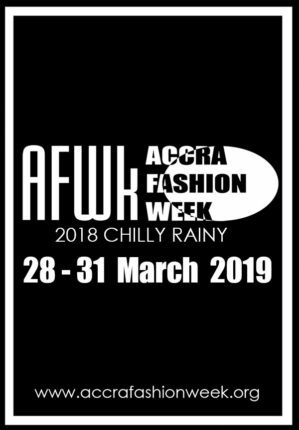 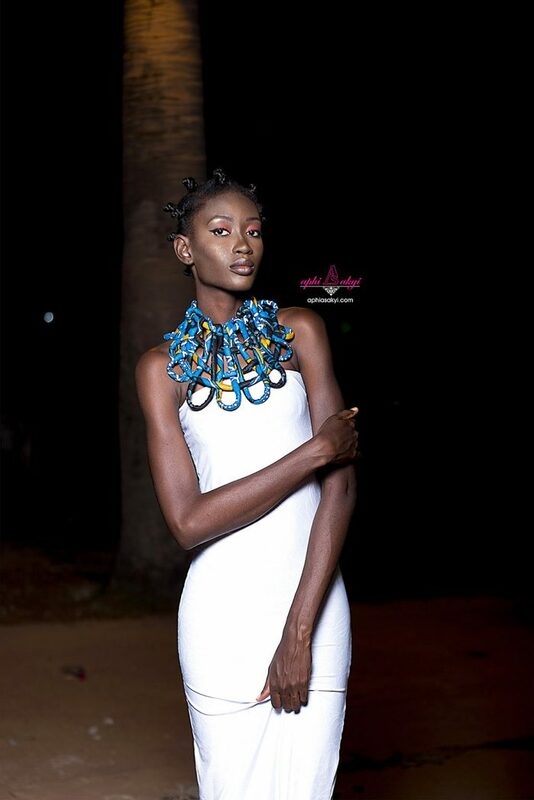 The collection represents the status African queen and the various designs have manifested influences from various queens looks across the Ghanaian nation. 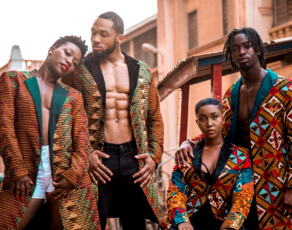 The concept was also influenced by Ghana’s 60th Independence Anniversary. 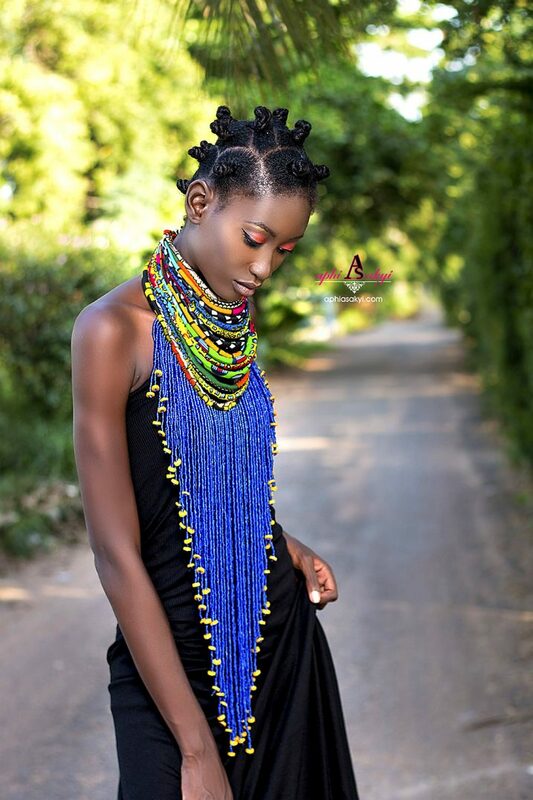 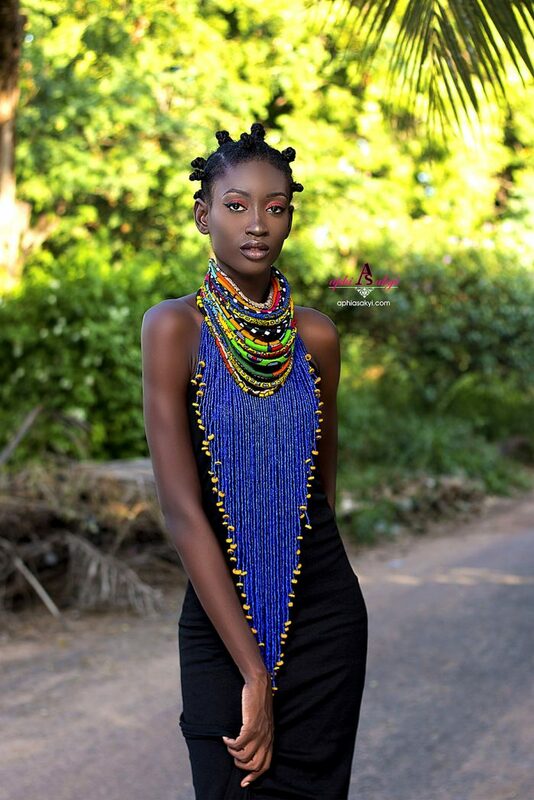 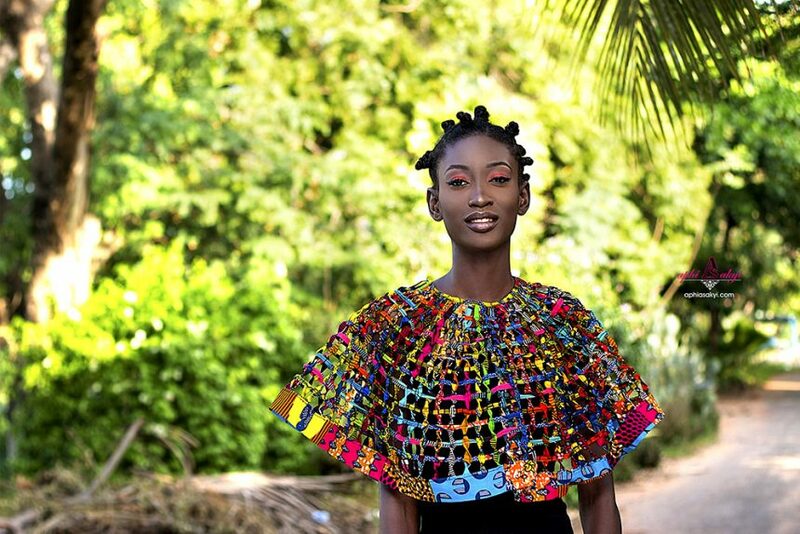 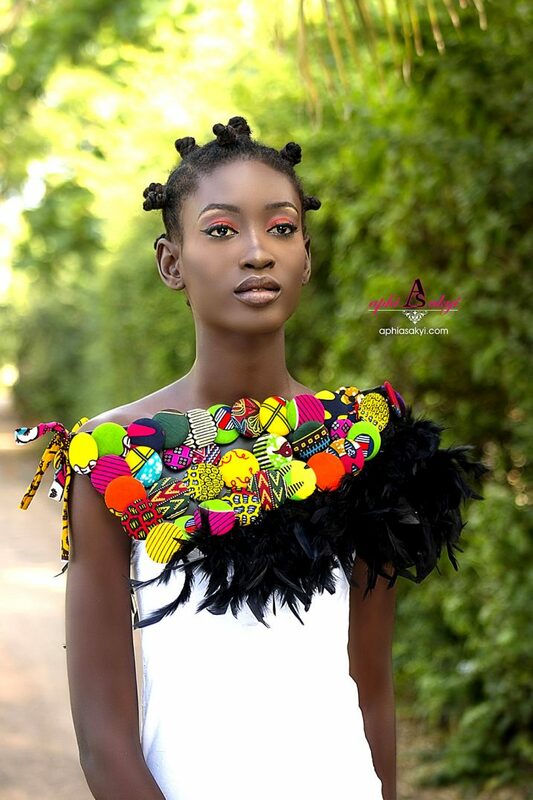 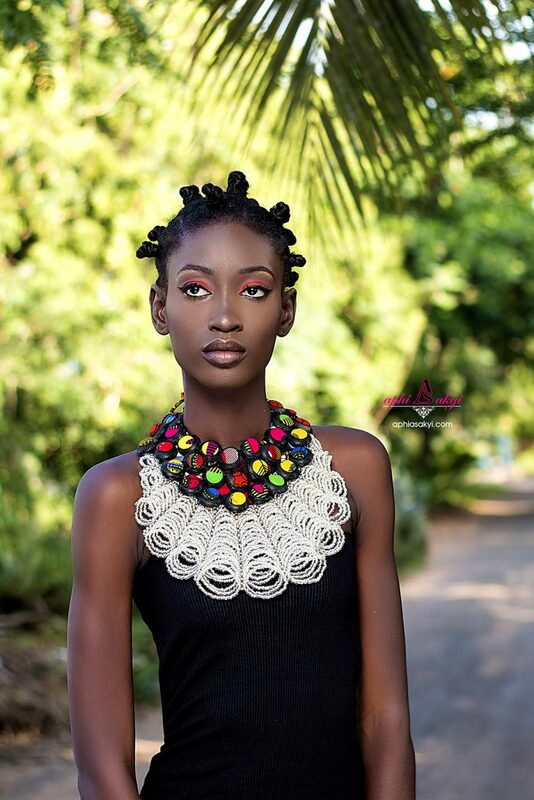 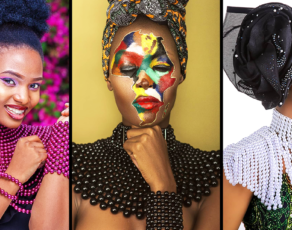 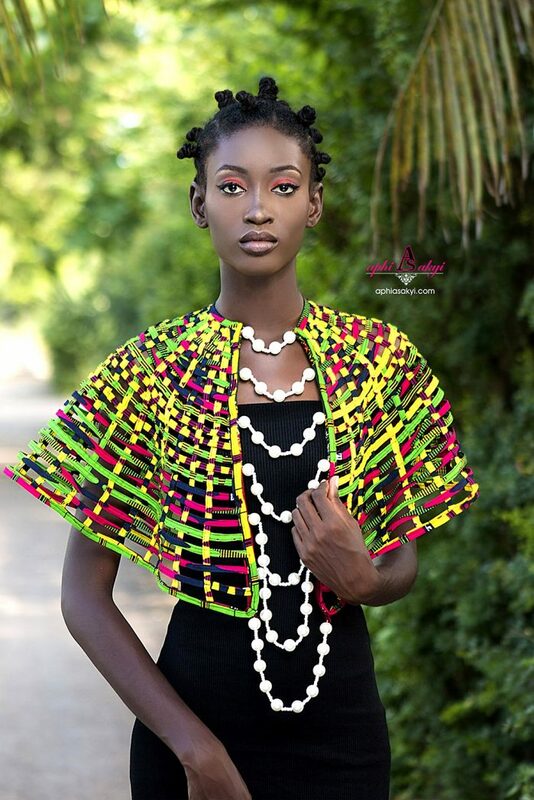 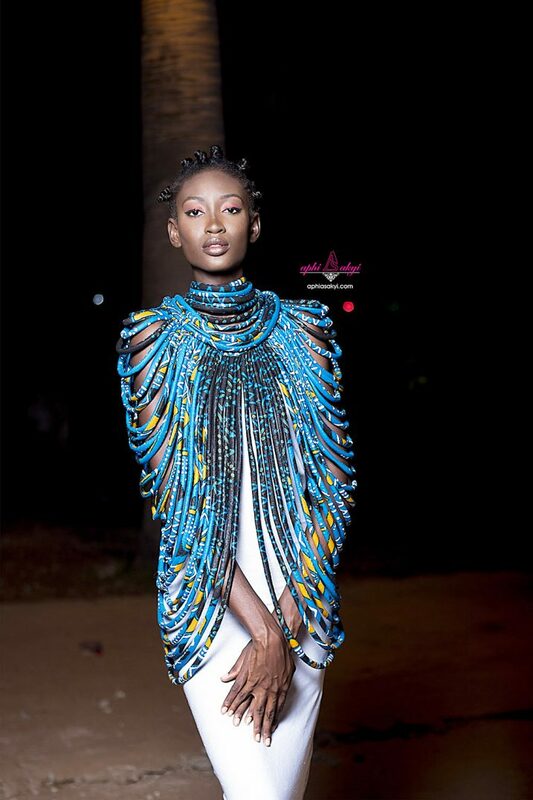 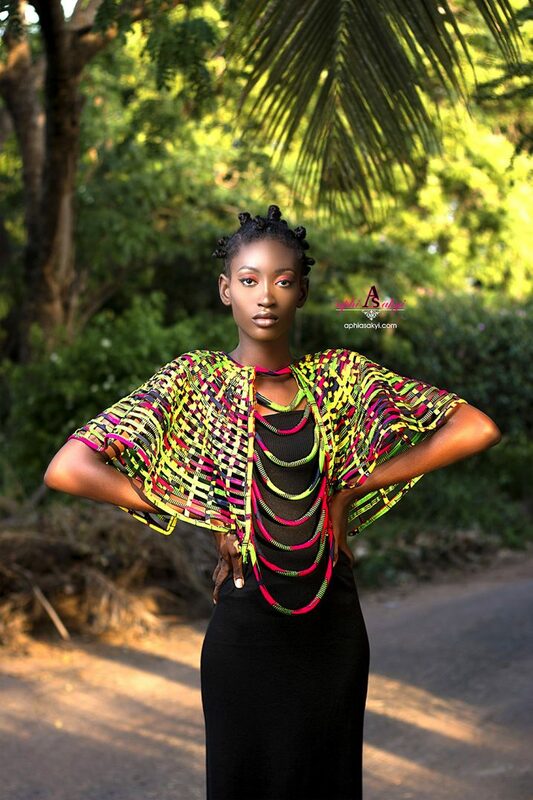 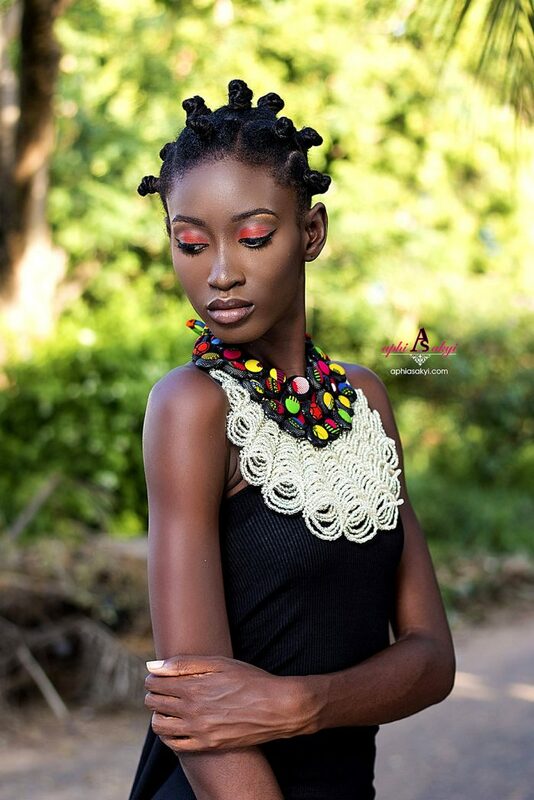 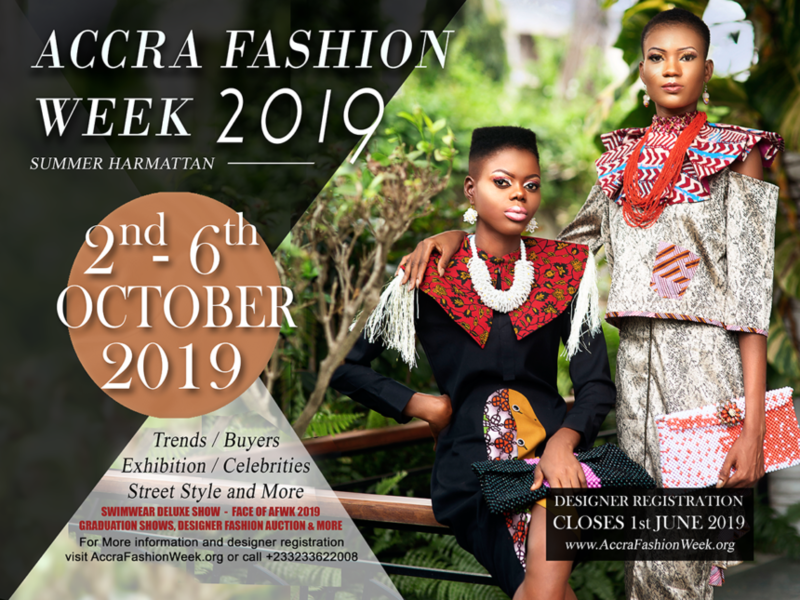 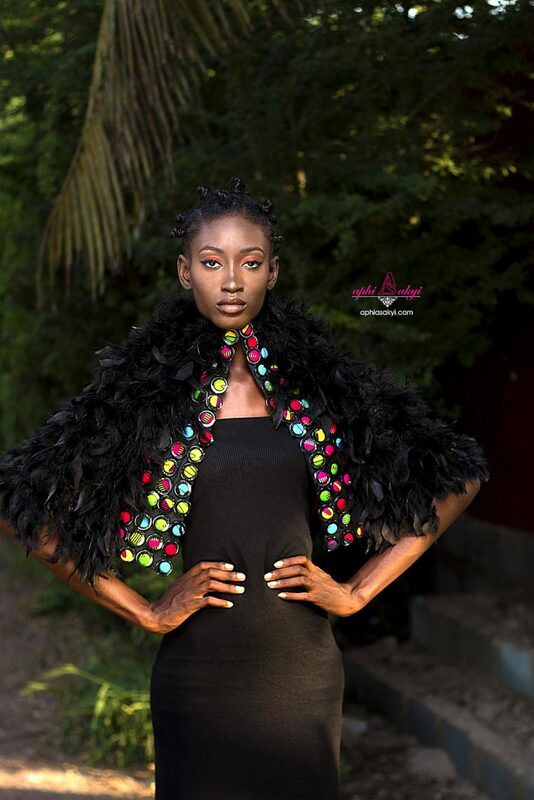 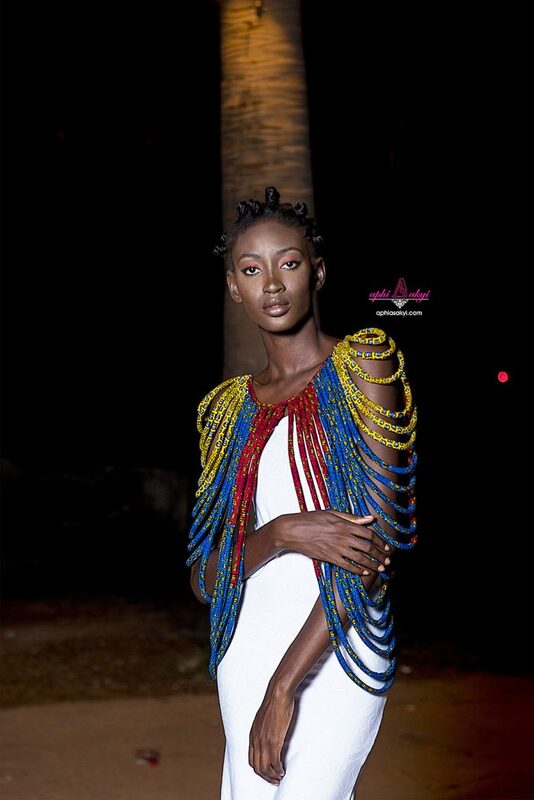 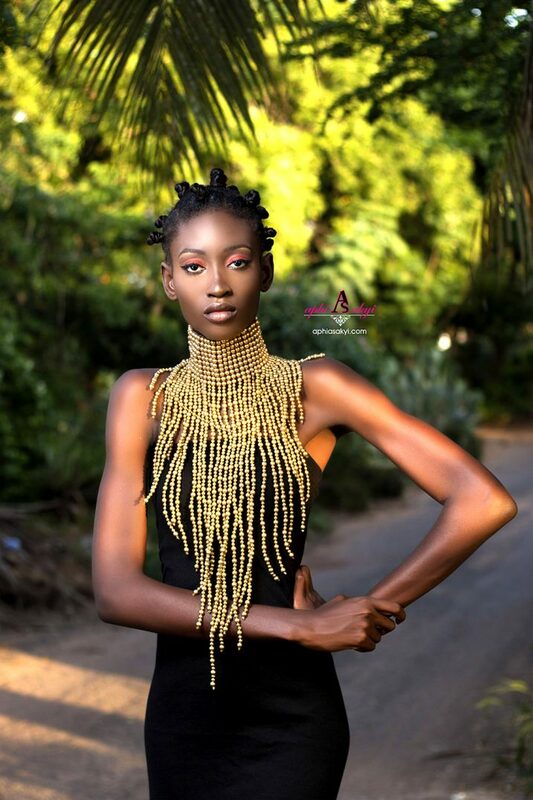 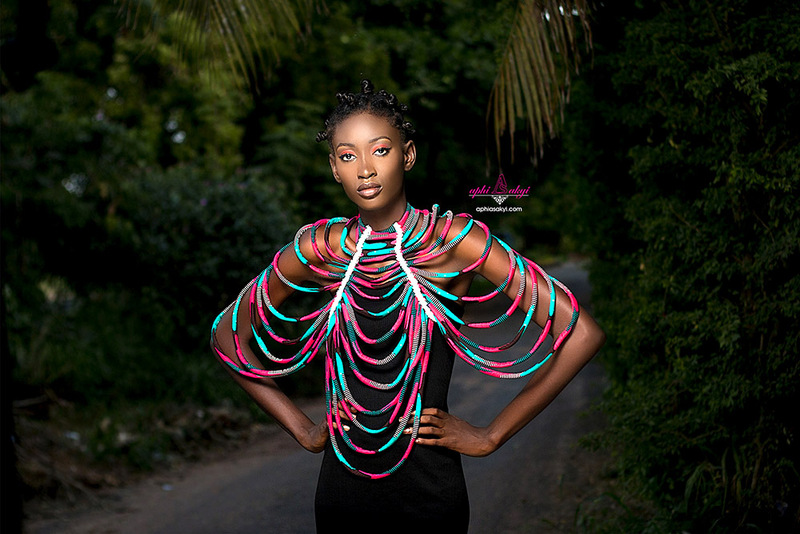 The necklaces come in various styles and colours and represent a section of what the designer is said to be showcasing at her next Accra Fashion Week show. 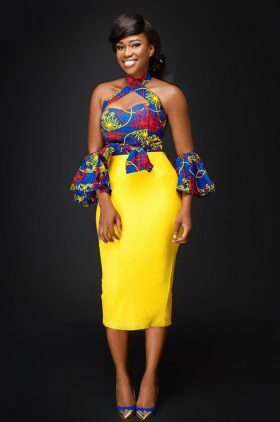 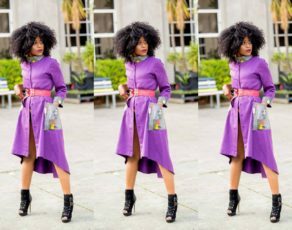 According to the designer ‘We wanted something for the bold but not loud women of society, women who wish to make a strong statement without necessarily speaking. 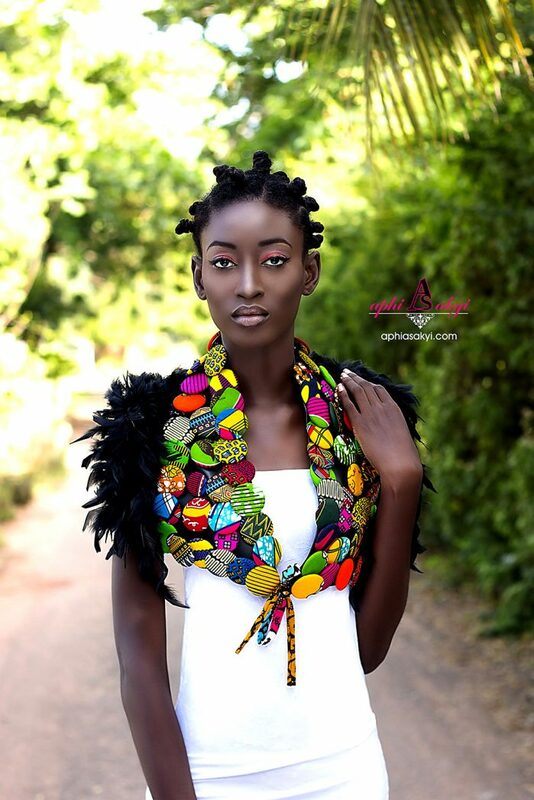 This is whom Aphia Sakyi’s Nhyira colleciton represents’. 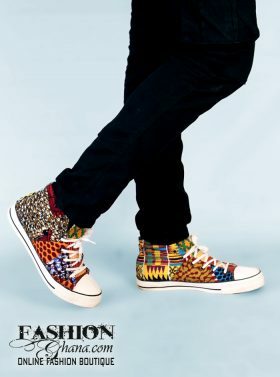 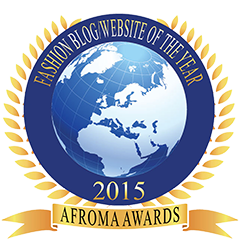 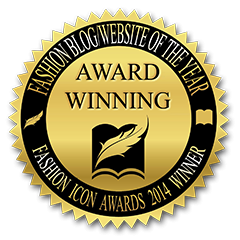 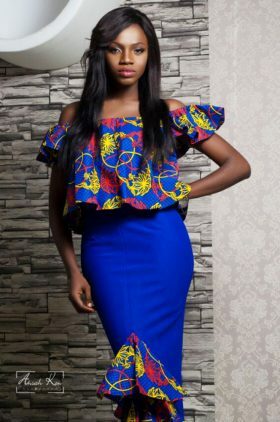 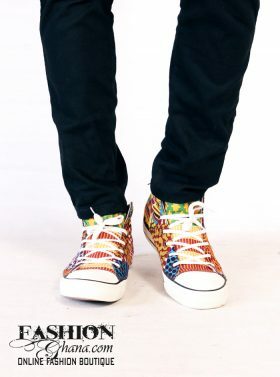 The collection can be ordered directly from the designer but will also be available online this weekend on www.fashionghana.com/store. 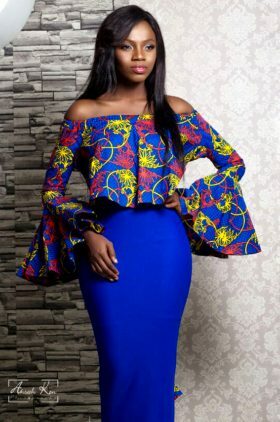 See the images below.